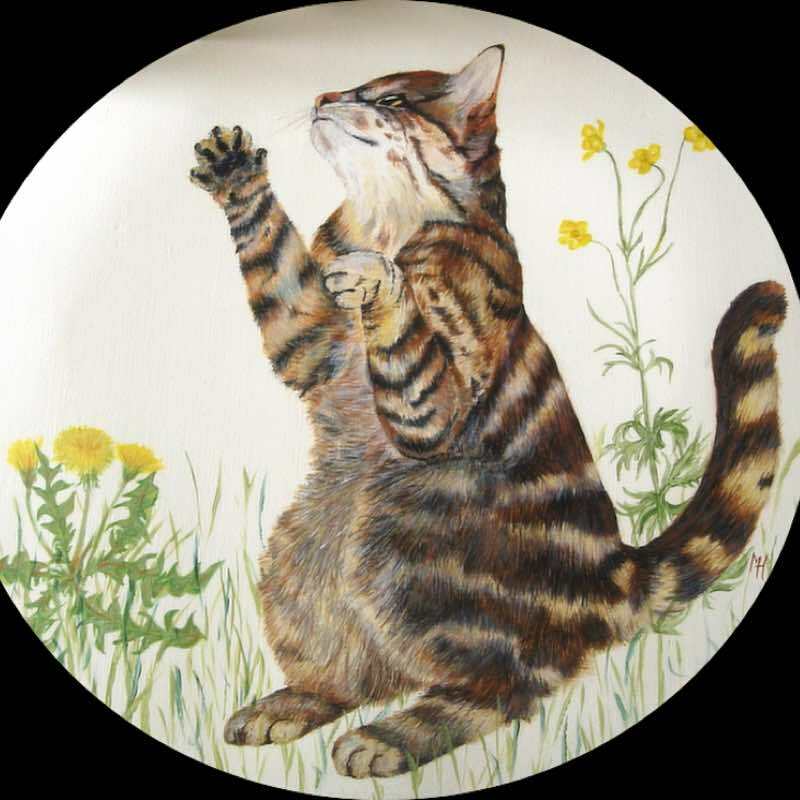 Marjolein Haworth, born in Holland 1968, has had an interest in drawing and painting from an early age, with a special love for portraying animals and wild flowers in their natural habitat. She won several drawing competitions as a child, one at the age of 10 at the Tropenmuseum Amsterdam; studied Arts and Arts History throughout High School and at the College Institute for Educative Professions. Before attending University she worked at several Archeological field campaigns in both Portugal and Egypt. 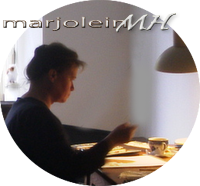 At the field campaigns in Egypt, in addition to drawing excavation objects such as pottery, Marjolein specialised in section drawing. During her time living in Portugal she returned to both drawing and painting and, amongst other things, created a delightful series of watercolour paintings - Child of The Time ( which are currently available to purchase in the form of digital prints and premium canvas prints ). 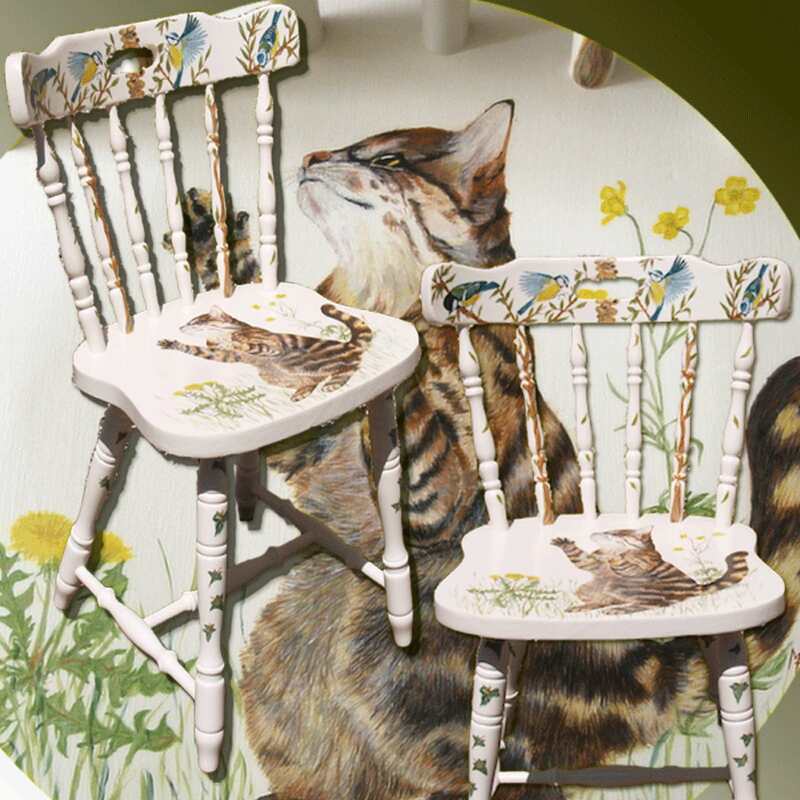 The series of paintings feature on many of the craft items also produced by Marjolein, for example - greeting cards, bespoke gift and chocolate boxes. Certain items [in Art Deco style] were exhibited/sold at Loja Art Now in Lisbon. 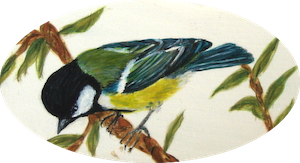 Now living in the UK and continuing to paint, using watercolour and acrylic paints, she has, additionally, found a new love: painting in acrylics on a variety of objects, under the banner: Art ON OBJECTS. 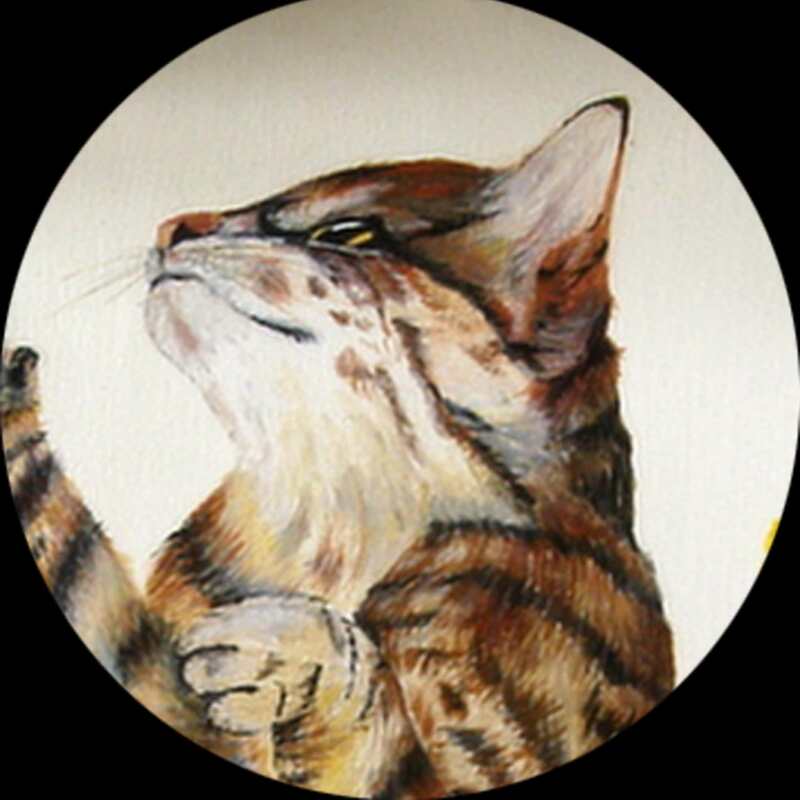 The objective being to produce some unique and interesting decorative - often useful - items incorporating beautiful, original art - animals and wildlife in general. 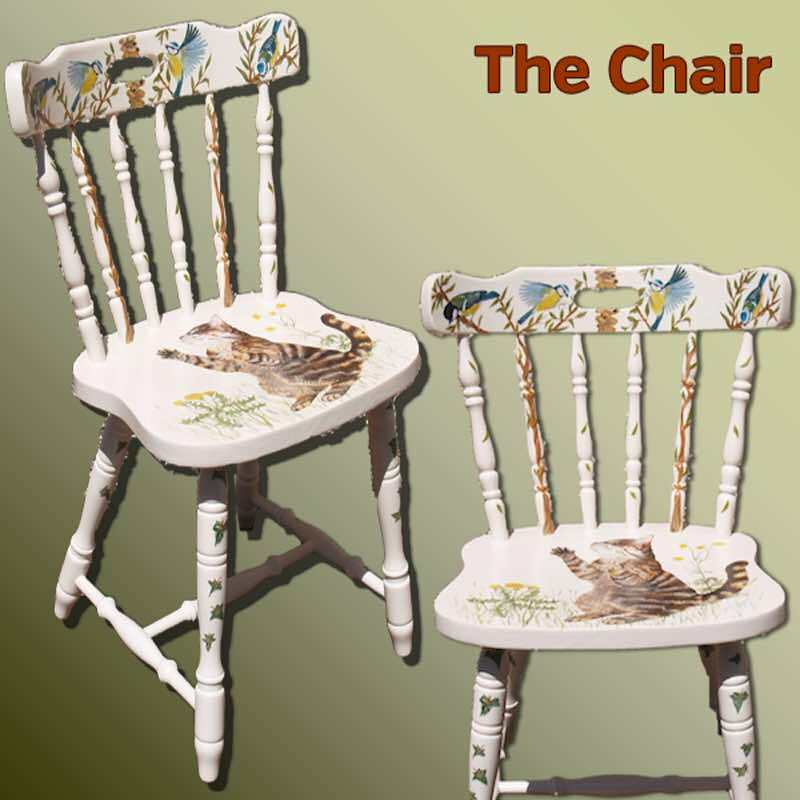 When Marjolein first saw this lovely, sturdy solid pine chair she quickly visualised the scene for the paintings. Soon after aquiring the chair she started sanding it down, by hand, to it's original bare pine wood. Following the application of two coats of white Johnstone's Primer, two coats of waterbased Dulux Subtle Ivory Eggshell paint were applied, also by hand. 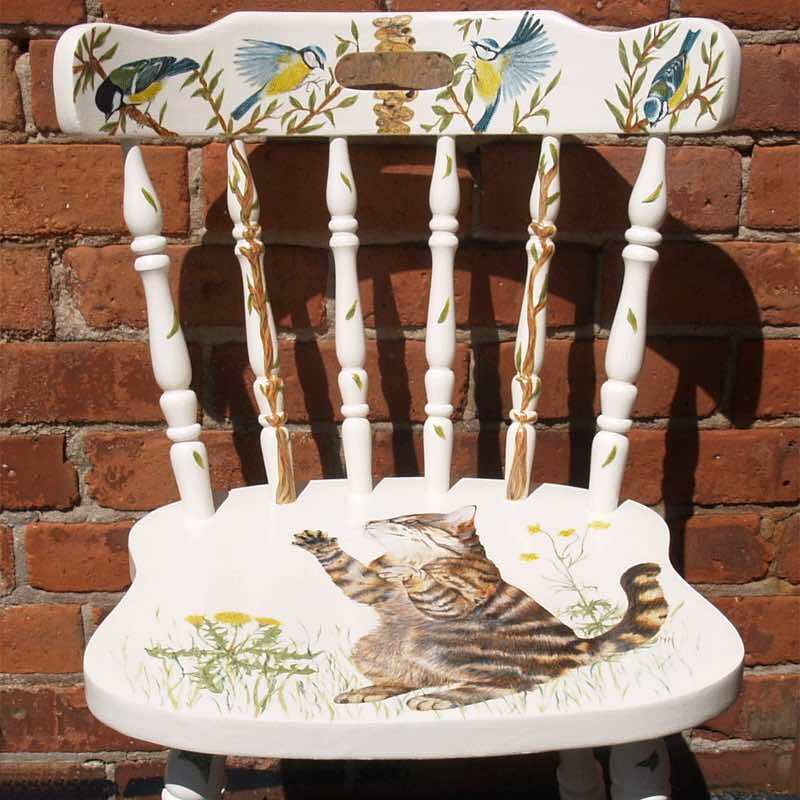 The original and detailed hand painted cat and birds were painted with Daler & Rowney Acrylic paint; subtle highlights were added to the animals, branches and flowers using pale gold and copper D & R acrylic paints and the whole chair finished with three coats of Craig & Rose Clear Acrylic Eggshell Varnish, with an extra coat on the upper side of the seat. .
... by GJH (Agent). No, not her mother ! 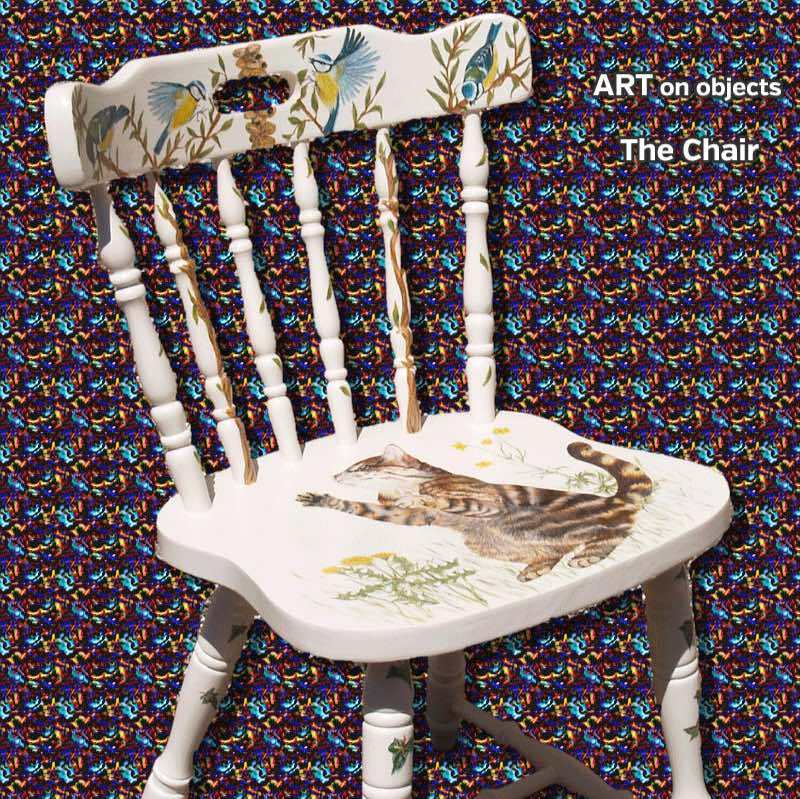 The Chair is available to purchase: GBP 125 + carriage. We can arrange carriage/delivery to suit your requirements - please contact us. 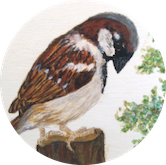 If you wish us to make a donation to rspb of 10% when you purchase an item on this page - simply Enter the Code below in the box provided when making your payment via PayPal. This interesting piece of driftwood was found on Praia da Falesia beach - located in the Algarve region of Portugal - more than 10 years ago and put aside for a future project. 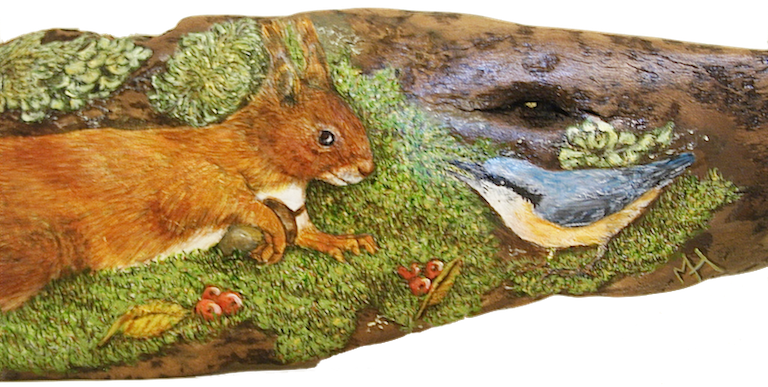 The sturdy driftwood measures: 58cm long x 11cm high and at its widest 3.5cm, with a twist in the tail ! 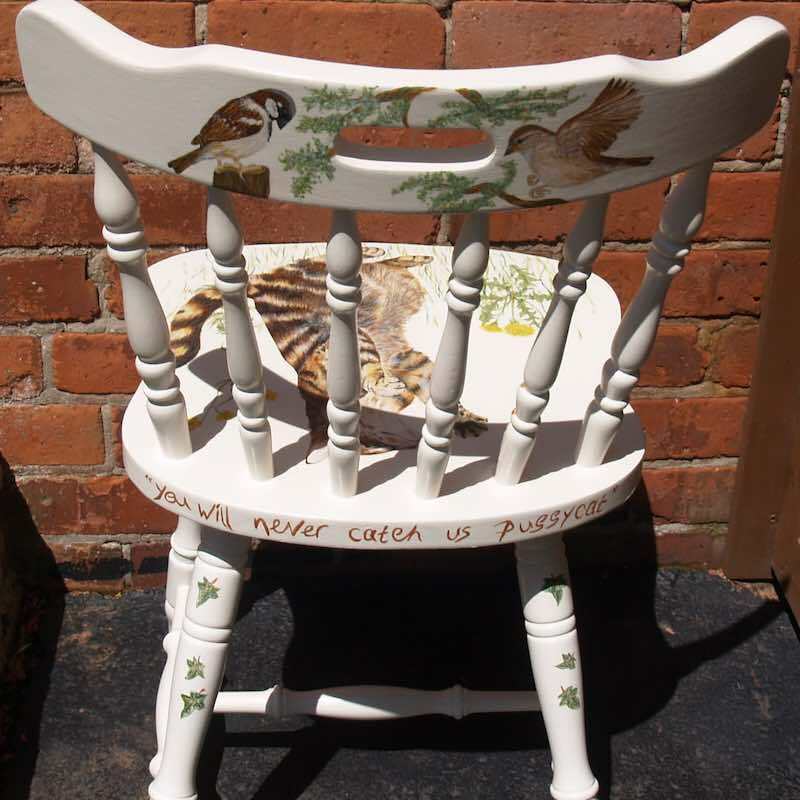 Following completion of ' The Chair ' Marjolein turned her attention to the project-in-the-cupboard and gave the driftwood similar treatment as the chair: sanding down by hand, application of primer - to the area to be painted on - with the original and detailed paintings of the Red Squirrel, Nuthatch Bird and other features in the scene completed using Daler & Rowney Acrylic paint. Highlights of pale gold and copper were applied appropriately and two coats of eggshell varnish to finish.